Stuff International Design Ltd has designed a 43 story mixed use building and today the foundation stone was laid as building began. 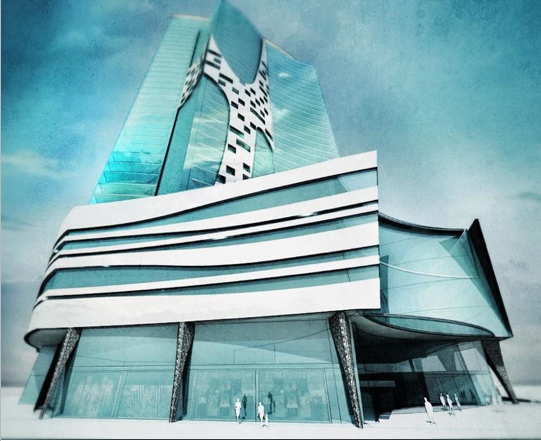 Stuff International Design Ltd was commissioned by Atomstroy, one of the largest developer construction companies in the Russian Urals, to undertake a master plan and concept design for a 43 storey mixed used development and it will be the second tallest building in Yekaterinburg. The aim was to create an iconic building that would be a new focus in this growing city. The plan for this complex building blends and mixes the commercial office space with residential, leisure, retail and hotel use. Stuff had to comply with traffic requirements for the city and also planned the parking for both the commercial and retail elements. Completion is due in 2015 and Stuff International Design Ltd is overseeing its design development during this process.